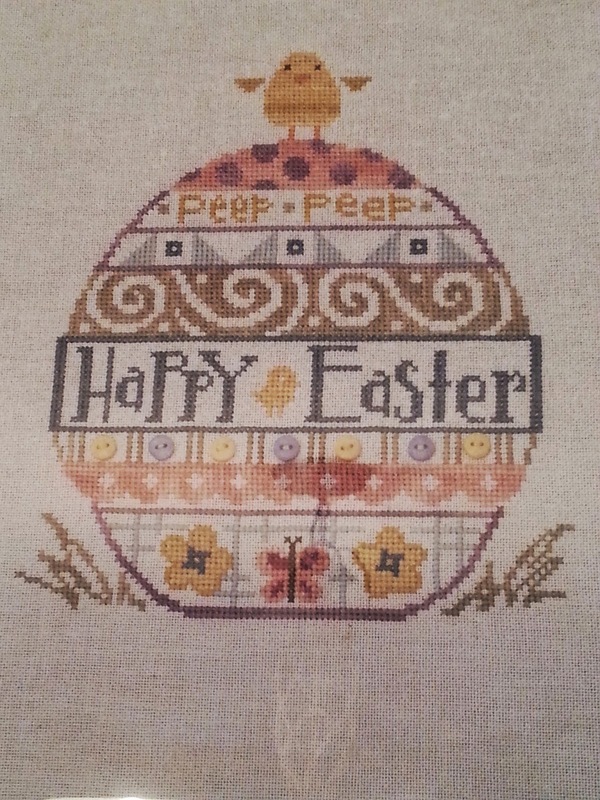 Hope everyone had a wonderful Easter today, filled with the blessings of family. We had a great time here, I love that my kids are still small enough to enjoy a good egg hunt! 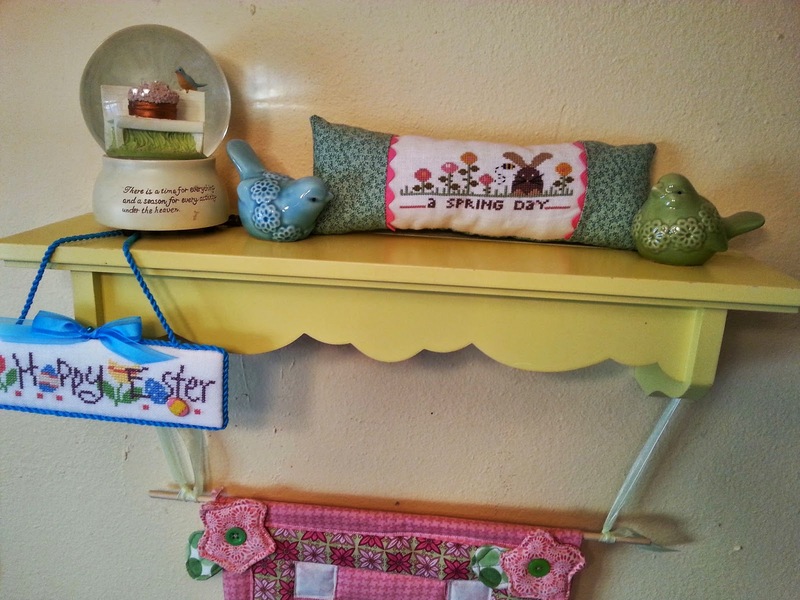 In honor of the holiday I thought I would show some pictures from my spring wall in my kitchen. 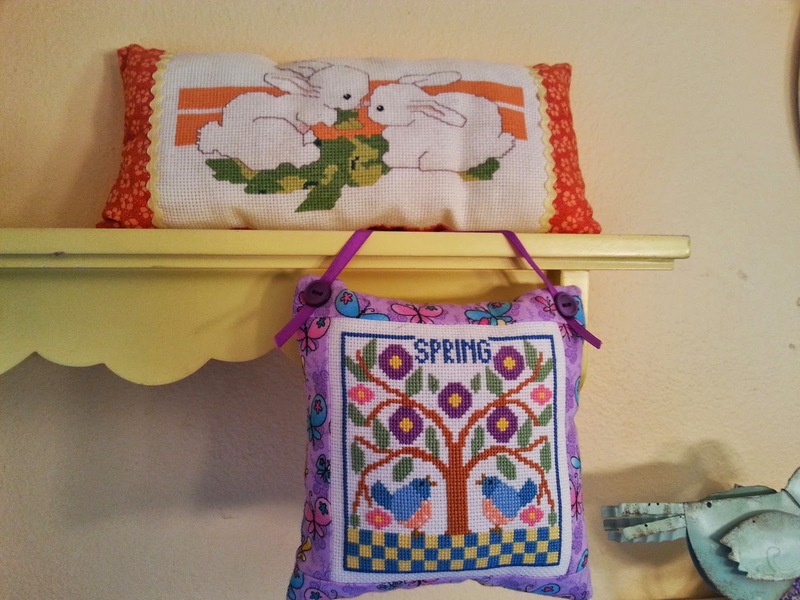 (I re-decorate this wall with seasonal appropriate stitches a few times a year). Above is my Easter project for this week. 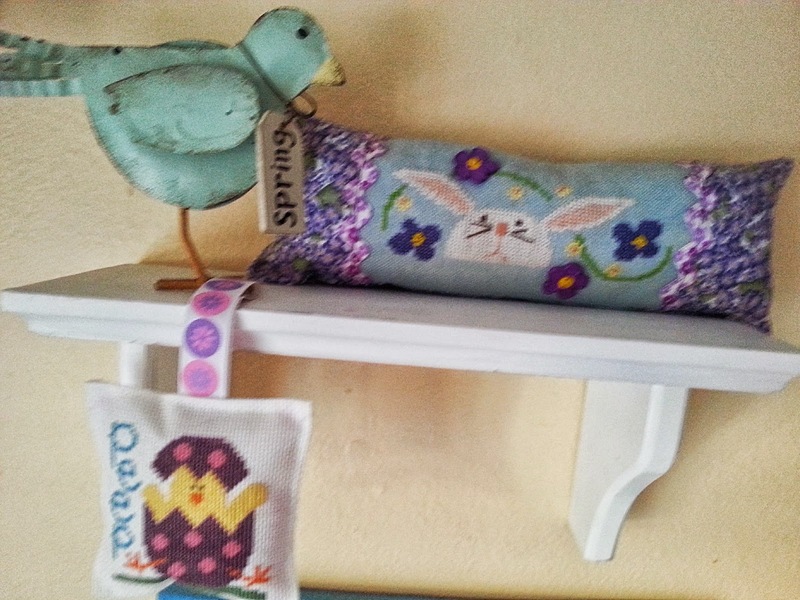 With Thy Needle And Thread's "Easter Peep". I came pretty close to finishing it in one week too. This is a Lizzie Kate I received in an exchange. I love the blue trim on it. This is a Bent Creek I stitched myself. I *think* it was called "Flowers", I know it was a zipper kit though. I changed Mr. Bunny from a brown bunny to white. This was another exchange, I think this is a Trilogy design, I love the pink ric rac she used for the trim on the pillow. Two more exchanges, I don't know the names of either of these, but love the colors on both of them. 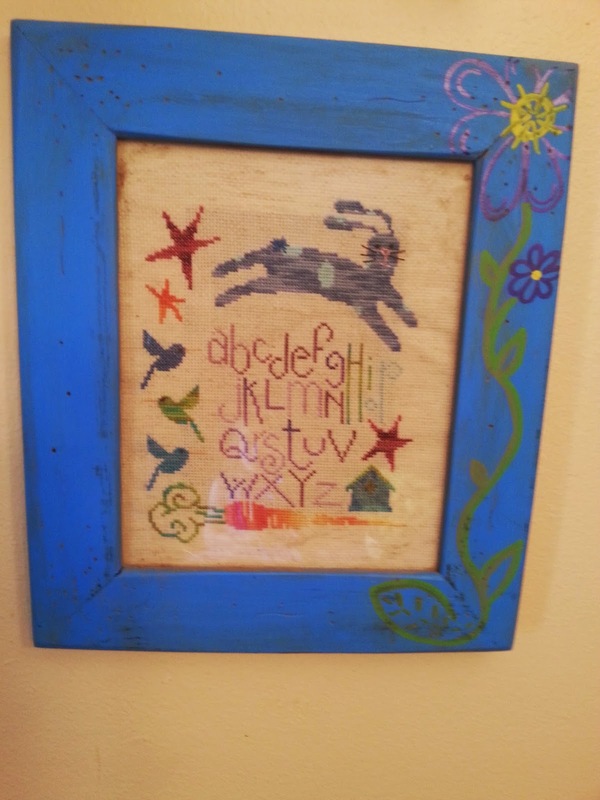 A Bent Creek "Hip Hop" done by me a few years back (I painted the frame too though it's hard to see the flower in this photo). This one my husband found for me in an antique store in Kentucky. 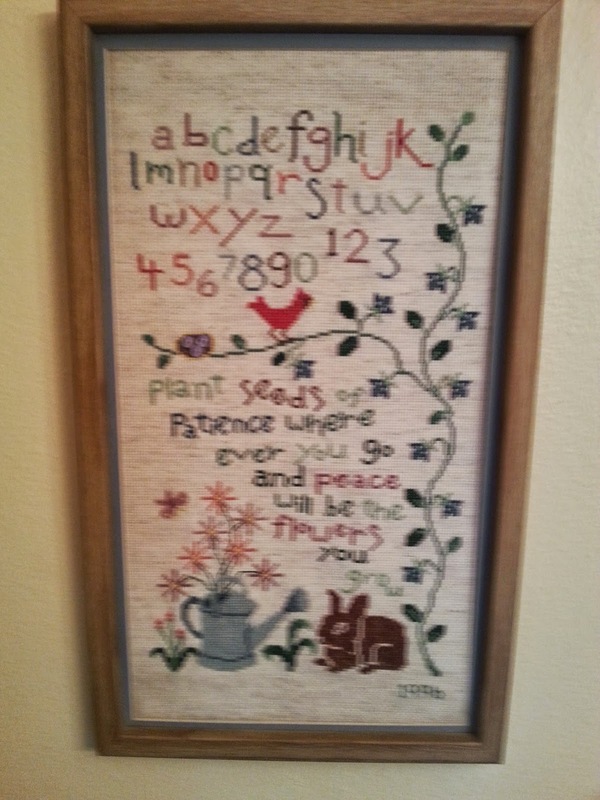 It was stitched in 1996, but I think the design still looks pretty modern. Bent Creek "Are you my Mother" stitched by me last year. 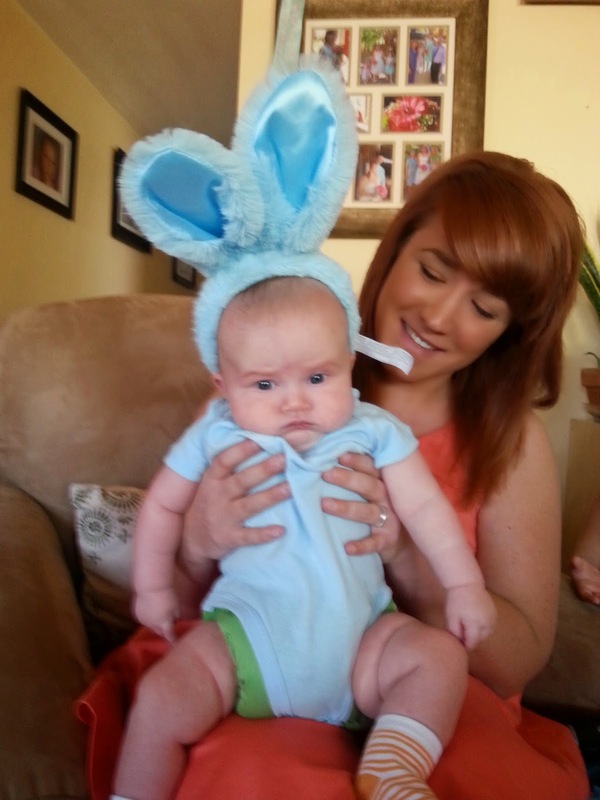 And my own sweetest little bunny Calvin....he doesn't look to thrilled with his ears either! 5 more WIP's out of my basket! I don't know why the above photo is cropping out the edges, maybe it's too long? I managed to finish a whopping FIVE projects this week, of course most of them needed just a few stitches to be done, but it is a relief to have them out of my stitching basket! The above is a Lizzie Kate Spring string. 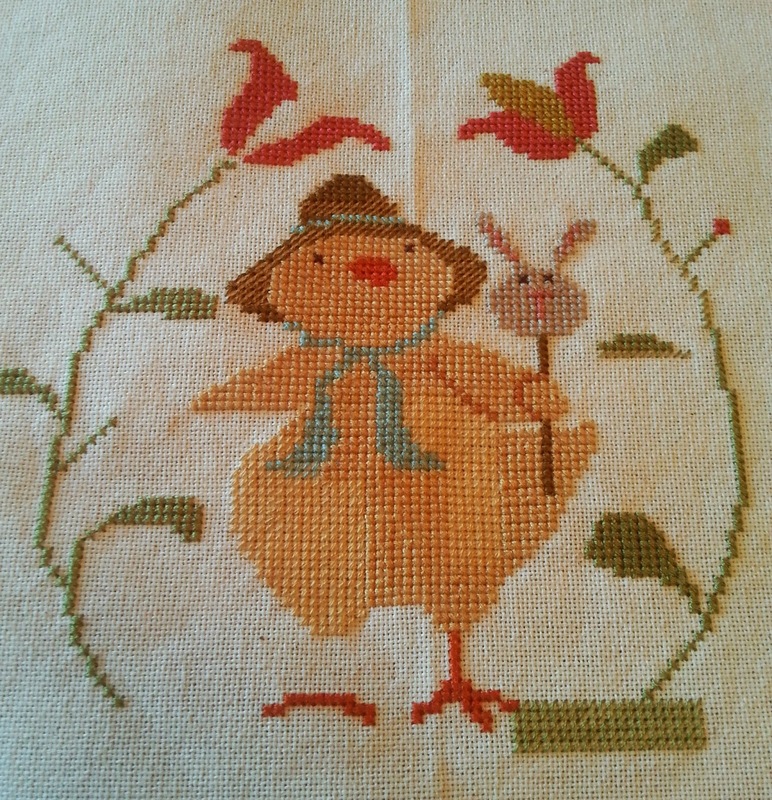 All I had to do on this one was give Mr. Bunny and Ms.Bird their eyes. 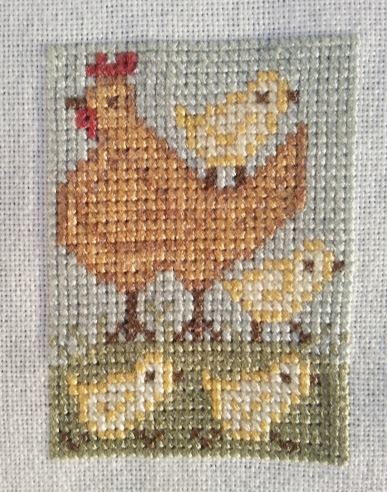 This little Prairie Schooler took a bit more work, I had to fill in the hen and chicks, and finish some of the grass up. 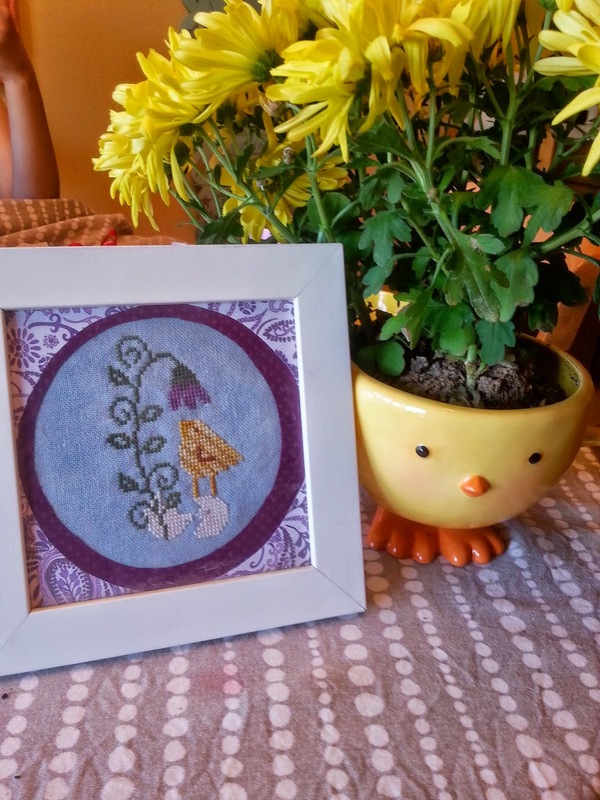 It only took me one evening of stitching to finish it up. 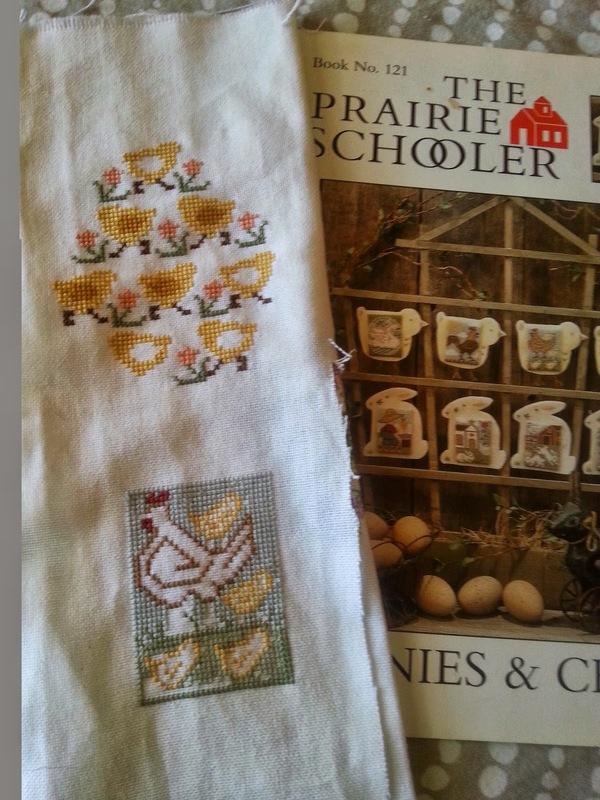 Another Prairie Schooler, all these little chicks needed were eyes and legs. I dread finishing this as an egg shaped ornie, I have done one in the past and it was so frustrating, a bit above my finishing skill level. I have high hopes to have this made into a pillow before the end of the month. 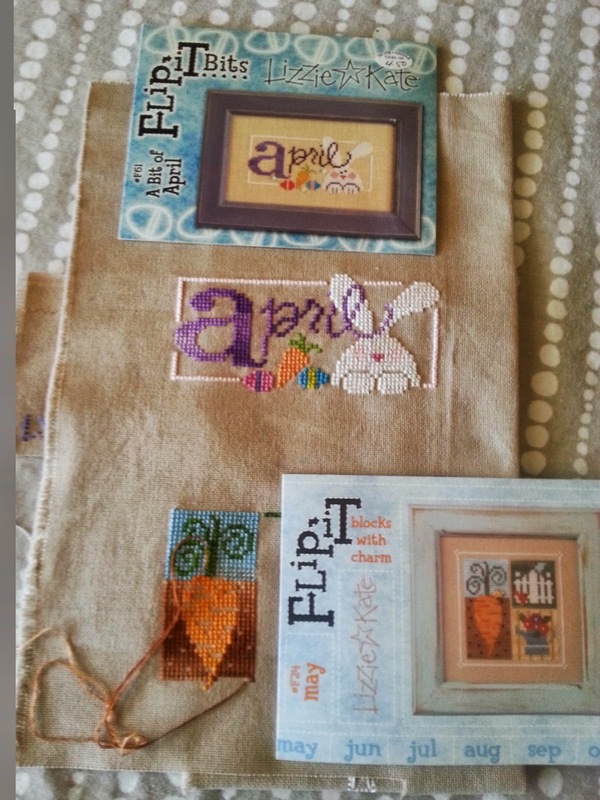 Lizzie Kate flip-it for April. 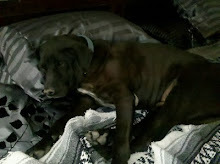 So now that I have cleared so many projects out of my basket I went and did something really crazy! I ordered a Heaven and Earth designs chart that is 90 pages long! Guess how many stitches?556,250 I calculated that if I stitched one square a day (100 stitches) it would take me six years to finish this. 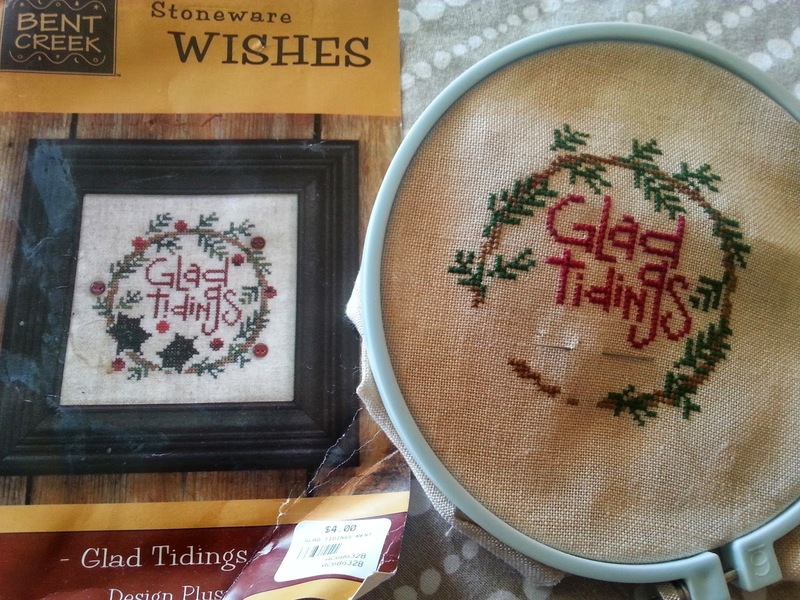 I am a little intimidated to even start it, and I am still waiting for my fabric to come in though. 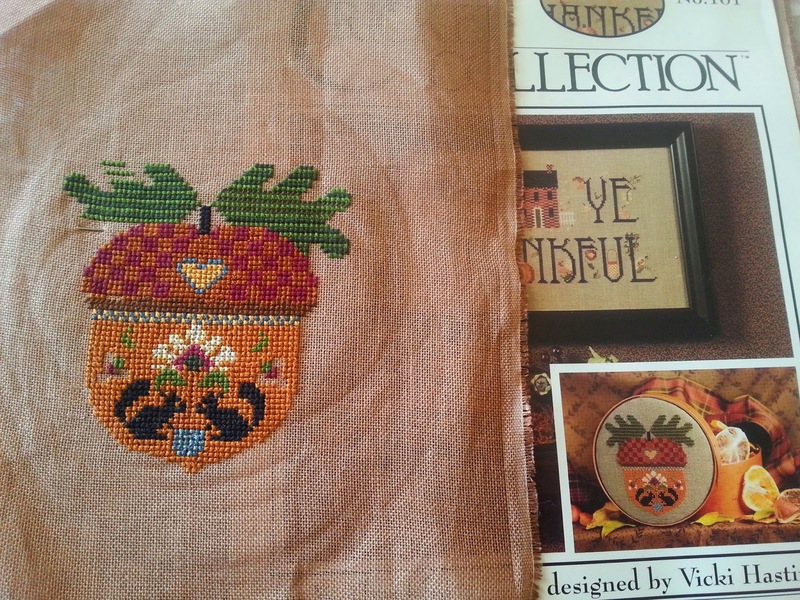 This one was Cricket Collection "Be Ye Thankful", the small acorn on the back of the chart. 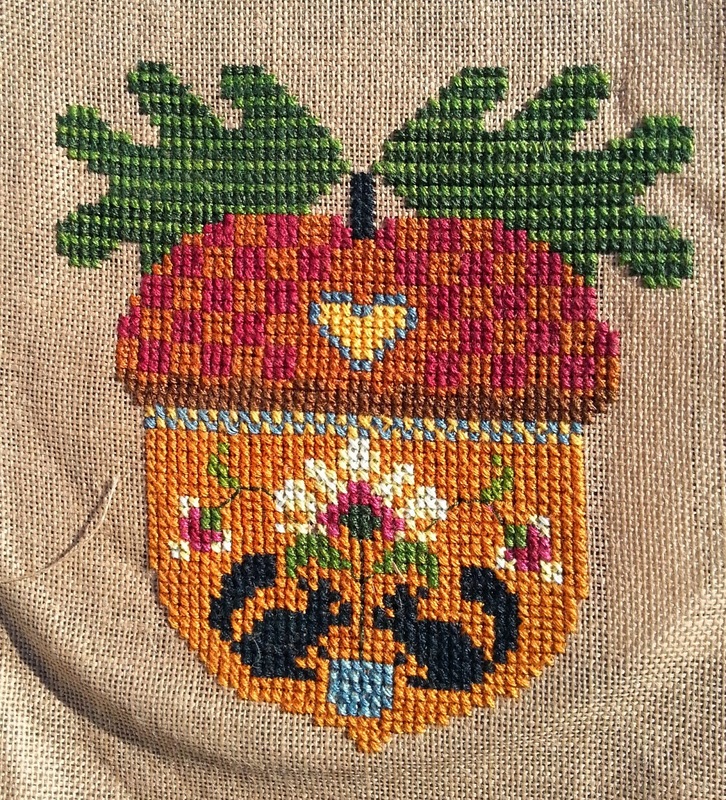 I only had the leaves to finish and the small flowers above the squirrels. 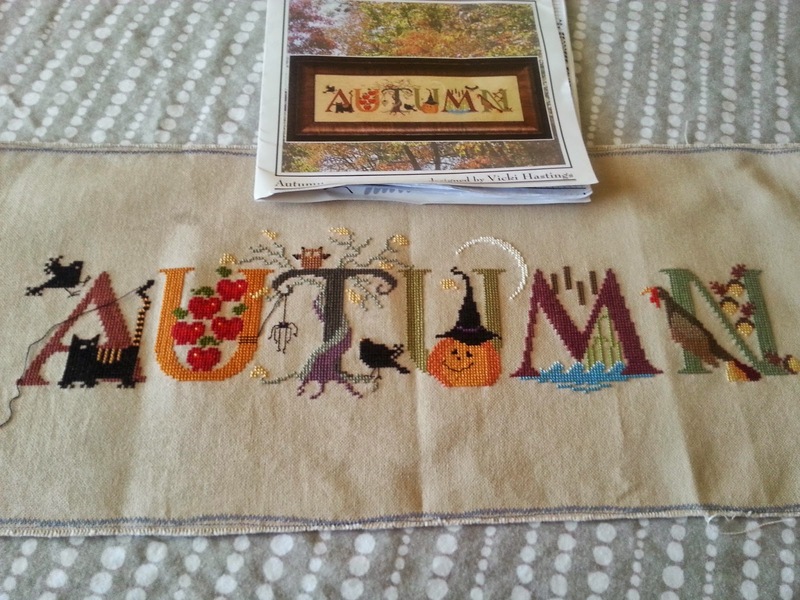 And I successfully finished this one already, now to pack it away for Autumn. This is another Bent Creek, from the Land That I Love chart. 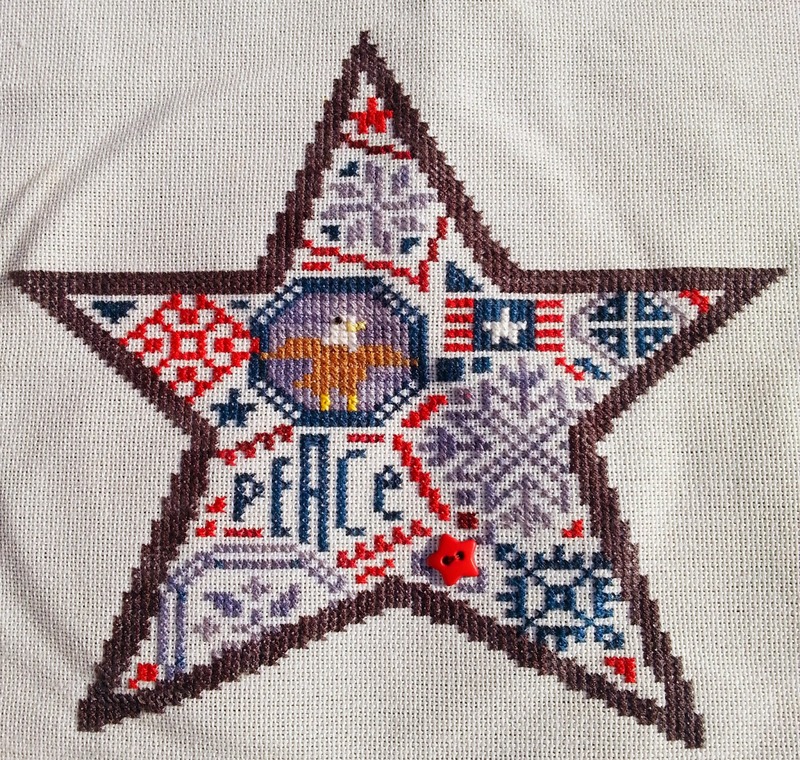 All I had to do on this one was add the olive branch (well and he still needs an eyeball but that will take 2 seconds to stitch on) so I am counting this as a finish! 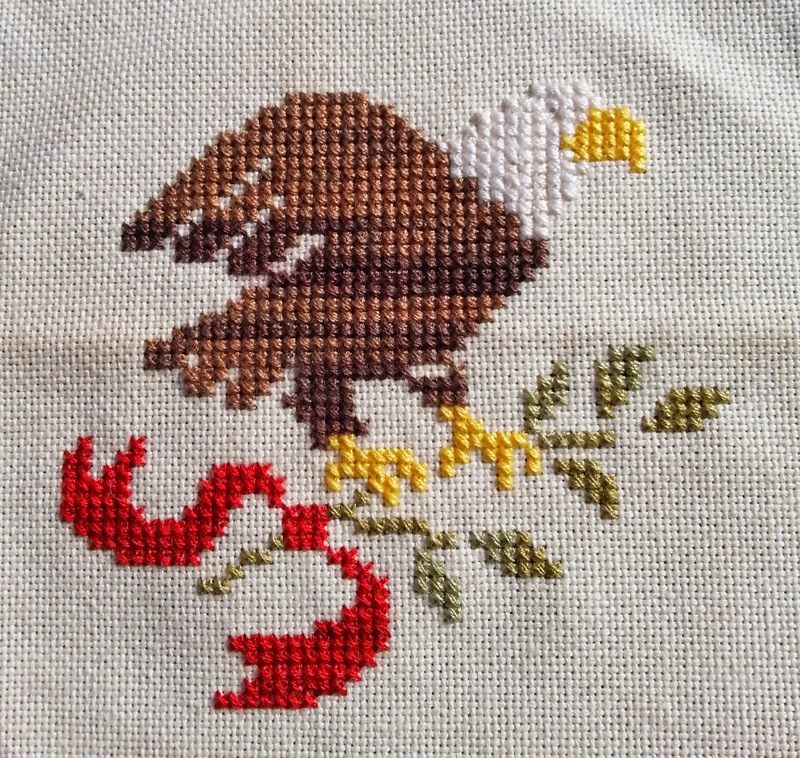 Bent Creek "Quaker Star" Finally got the strand of WDW Navy I needed to finish, and stitched the eagle in the middle. I really like this one, and am excited to have it hung up for the 4th of July. 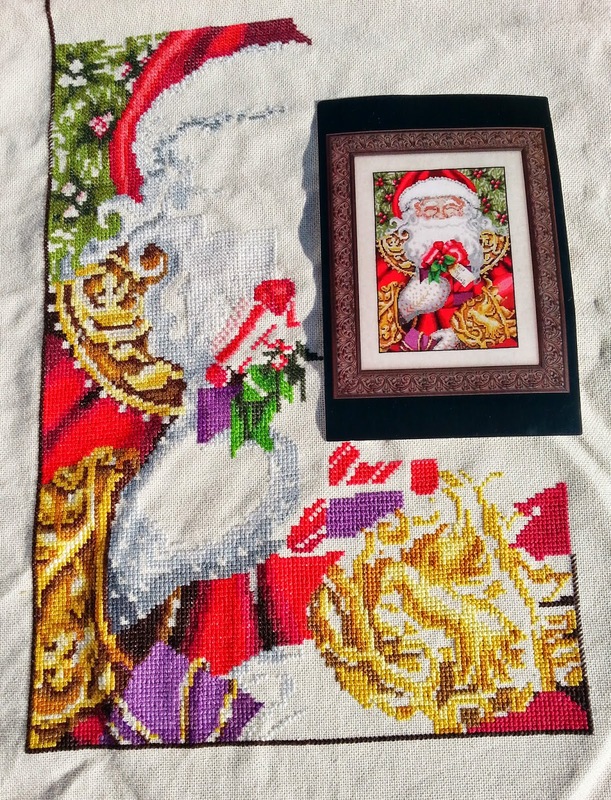 Glad Tidings..this one has been stalled for 2 Christmas' now. All I need to do is add the buttons and stitch the leaves. Though I think I am going to switch the leaves for something else, I want to do cardinals there, I just have to find the right size to fit. This is Prairie Schooler of course. All I have to do on the top one is finish 4 little chicks wings, and the bottom one just needs filling in also. So close! I don't think I ever posted this start on my blog. 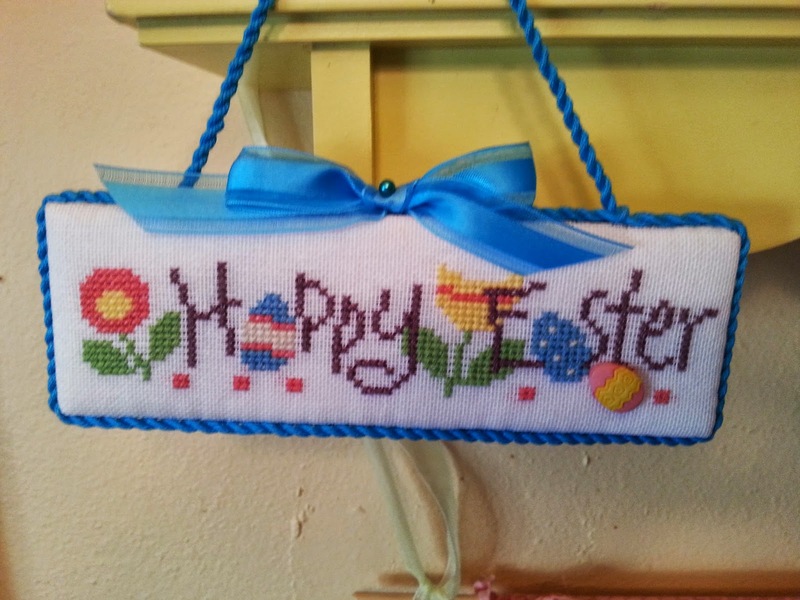 I was on a blogging hiatus when I stitched this one up. All it needs now is the cat tails under the M and some back-stitching and i'll have another project to be ready for display in the fall. Two Lizzie Kate littles, I think the carrot is off of the May flip it, and obviously the bunny is from the April flip-it. All the bunny needs is his paws outlined, and the carrot just needs more dirt. And yet another Bent Creek (gosh I stitch a lot of their stuff!) 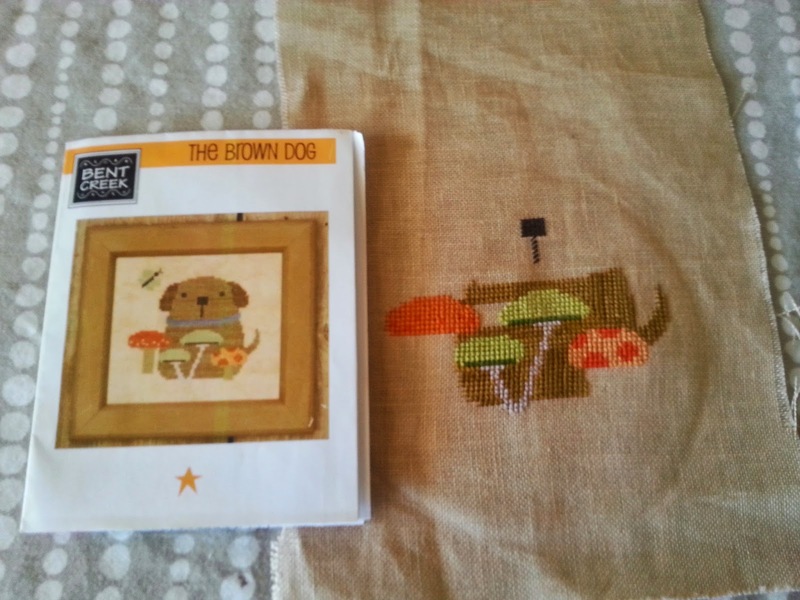 "Brown Dog" I am out of the brown I used to stitch him in, so I have to wait until it arrives in the mail to complete his cute little face. I also ordered "White Cat" to go along with this one, I think they will look cute sitting next to each other. Tomorrow is my first day back at work (sniff sniff) wish me luck, or at least that I don't turn around and drive home before I make it in!